To effectively manage a family business you need to know how to set goals. Goals can organize a managers’ focus and milestones needed to reach their goals. 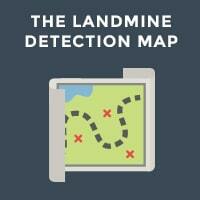 They can also increase your persistence and motivation for long term business success. Having a goal can help a family business manager find new learning strategies. Unfortunately, people’s goals are all too often made incorrectly. 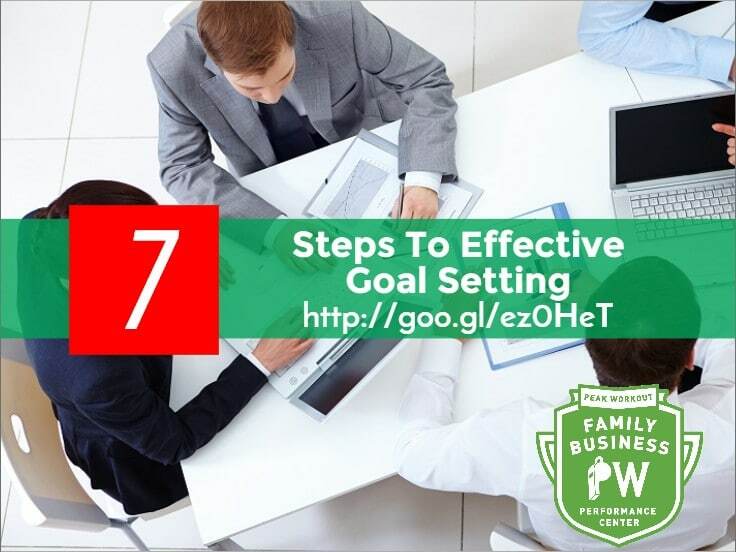 If you are interested in setting some goals for your family business, or even reevaluating your current goals, follow these seven steps for proper goal setting. – What exactly do you want to accomplish? – What achievement would be worth your very best effort? – What would you attempt if you knew it was impossible to fail? – What would you go for if you knew this was your very last chance? Make sure your vision is clear and powerful, one that you would follow despite whatever setbacks and failures that might arise along the way. The goal has to be very specific (i.e. “My goal is to increase profits by 30% in the next 6 months,”), rather than vague or general (i.e. “I want to increase profits.”) so you can tell whether or not you have actually reached it. Step 2. Where are you right now? Carefully examine where you are right now in terms of your goal. Have you been just “getting by” or do you work to reach the next level? Are you willing to do things you may not want to do in order to reach your goal? Identify when your business profits most and what creates that kind of situation. Step 3. Be honest about what you need to do. To reach your goals, you need to know how to get there. What are your strengths and weaknesses? In what sort of situations does your family business thrive or deteriorate? Identify at least one aspect in each of the following business skills categories that needs improvement: sales, management, customer service and human resources. Step 4. Formulate a daily improvement plan. Step 5. Make and work on short-term goals. The goal that you set in step 1 may take a long time to reach, perhaps months or even years. Set short-term goals to keep you motivated throughout this time. Achieving these goals will give you feedback on your progress towards your ultimate goal. They should be process orientated, and reflect that achieving your goal is an ongoing process. Step 6. You must commit! It is easy to say you’re going to do something- actually doing it is another story. This is analogous to people who make a New Year’s resolution to lose weight; seldom people actually go through with it. Second guessing yourself, missing opportunities and being hesitant will only delay your eventual success. Keep reminding yourself to enjoy the journey along the way! Every day ask yourself, “Am I getting closer to my goal?” Is your goal plan actually working or does it need adjustment? If your answer is “I’m not sure”, then you are not really making progress. Write down your small successes and lessons learned along the way, or make a checklist that charts your progress. In times when it seems like your goal is too far out of reach, you can look at your progress list and visually see how far you have come, and how much closer you are to your goal. 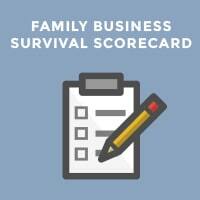 Start setting goals for your family business now. 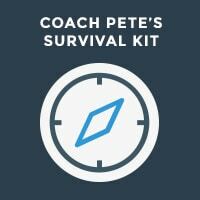 If you would like assistance, please contact Coach Pete.